Born in Vienna. Studies at the Vienna University of Economics and Business graduating as MBA in 1983 and PhD in 1988. University assistant and lecturer at the English Department of the Vienna University of Economics and Business until 1991. Languages: German, English, French, Italian. Music education in piano and singing, member of several vocal ensembles. Since 1986 concert tours, radio and TV broadcasts, and CD recordings with the Concentus Vocalis, Vienna. Since 1989 she has been general manager of the Wiener Jeunesse Orchester (WJO), the national youth symphony orchestra under the patronage of Jeunesses Musicales of Austria. 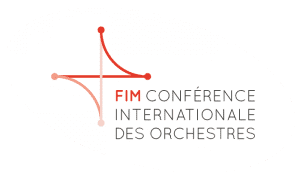 Since 1994 founding member and member of the board of the European Federation of National Youth Orchestras (EFNYO) which aims at the collaboration of the leading pre-professional youth orchestras in Europe. Cooperation with the European Music Council (EMC) in the European Forum for Music Education and Training (EFMET); President of the EFNYO since 2005; member of the board of the Austrian Music Council since 2008. Member of the Working Group “Life-Long Learning: Educating for Entrepreneurship” within the POLIFONIA Project of the European Association of Conservatoires (AEC), 2012-14. Publications focusing on youth orchestras, the advancement of young musicians and women in music in the Austrian Music Journal and the International Arts Manager Magazine. Member of the editorial team for the handbook “women/music_austria”, published by the Federal Ministry for European and International Affairs, Vienna (2009).